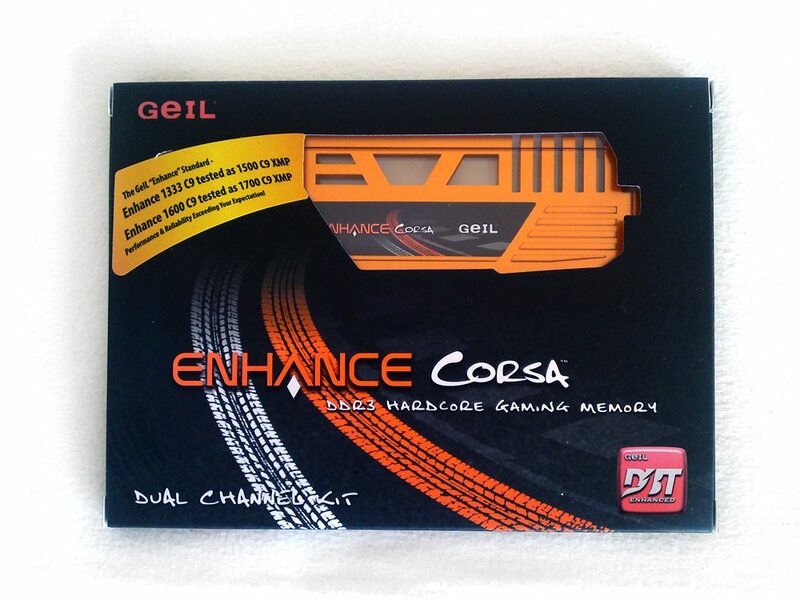 GeIL has supplied a total of four RAM sets for the first part of this round-up. Three sets are dual channel 2x4GB, one is quad channel 4x4GB. 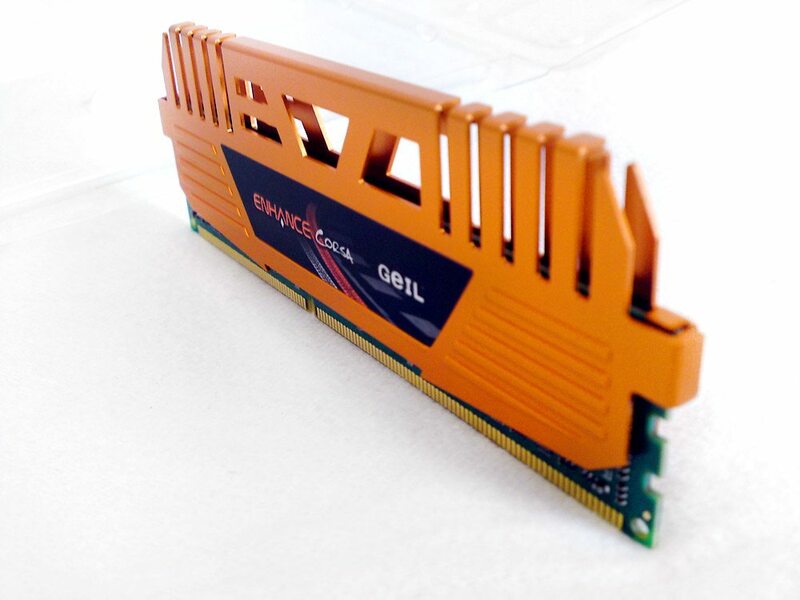 Of course the motherboard and CPU has to support dual, triple or quad channel to make such a setup work; this is largely independent of the RAM, but a nice marketing term. Both series are offered in dual- and quad channel sets, on a working voltage of 1.5V. 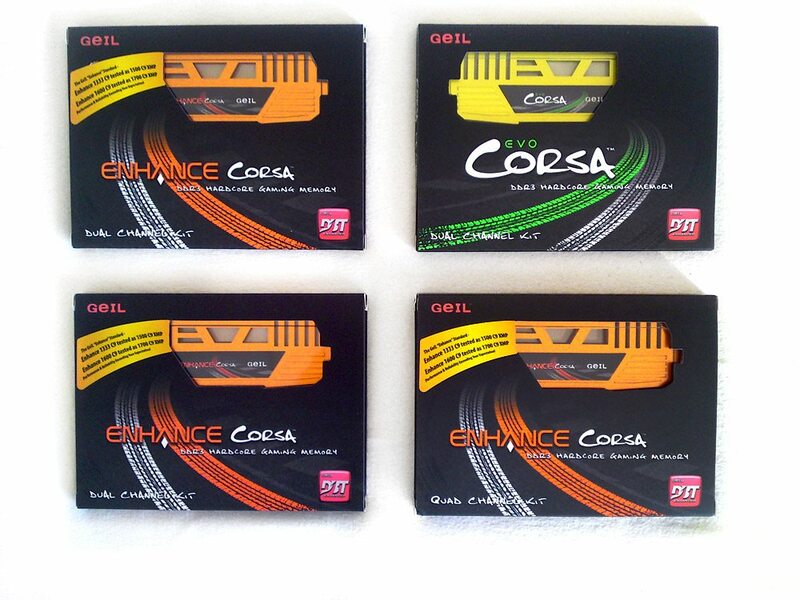 All of the Enhance Corsa sets have an Xtreme Memory Profile (X.M.P.) 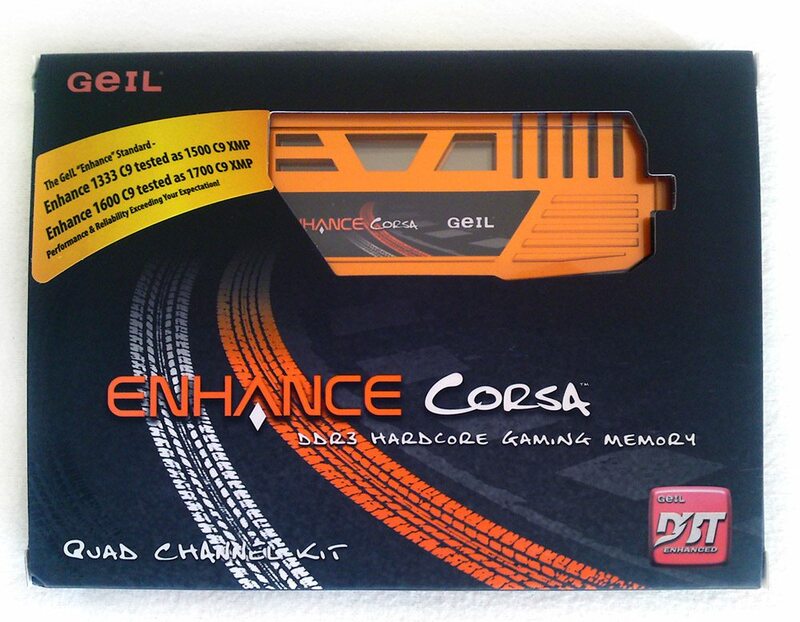 for easy overclocking. 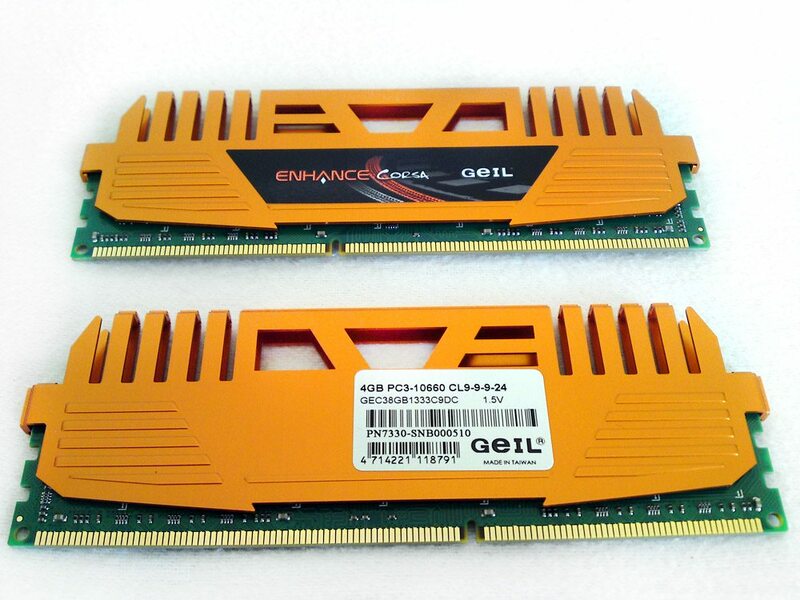 For the DDR3-1333 CL9 sets this DDR3-1500 CL9 and for the DDR3-1600 CL9 set it’s DDR3-1700 CL9. 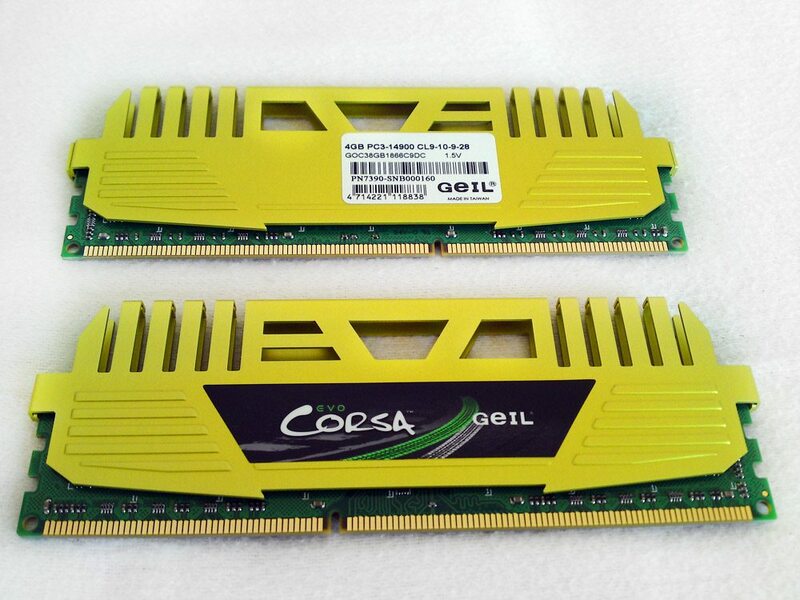 The GeIL Enhance Corsa 2x4GB DDR3-1333 CL9 (GEC38GB1333C9DC) is the 8GB variant, big brother of the 2x2GB DDR3-1333 and DDR3-1600 sets, only inferior to the DDR3-1600 8GB variant, also covered in this round-up. The timings are CL9-9-9-24, on a rated voltage of 1.5V. 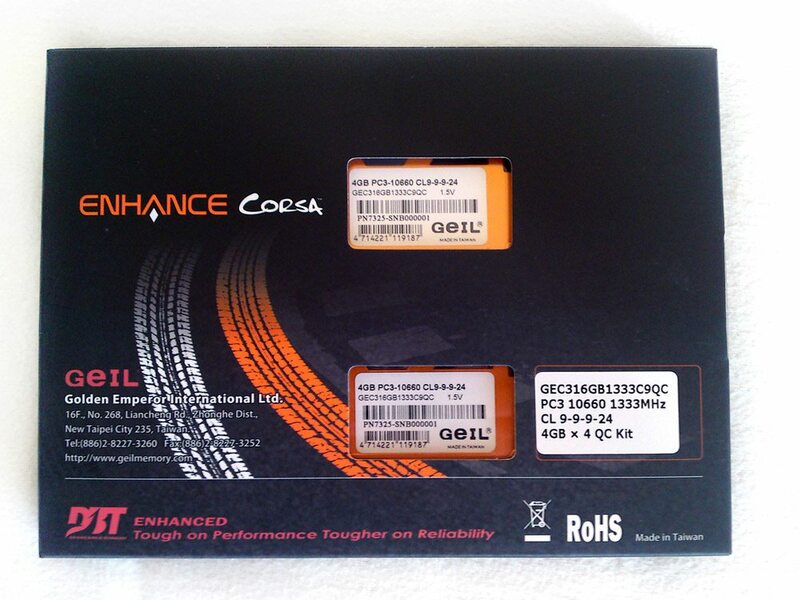 The GeIL Enhance Corsa 4x4GB DDR3-1333 CL9 (GEC316GB1333C9QC) shares it’s place with the 2x4GB variant, as it’s simply two of these sets put together to form a quad channel set, totaling at 16GB. 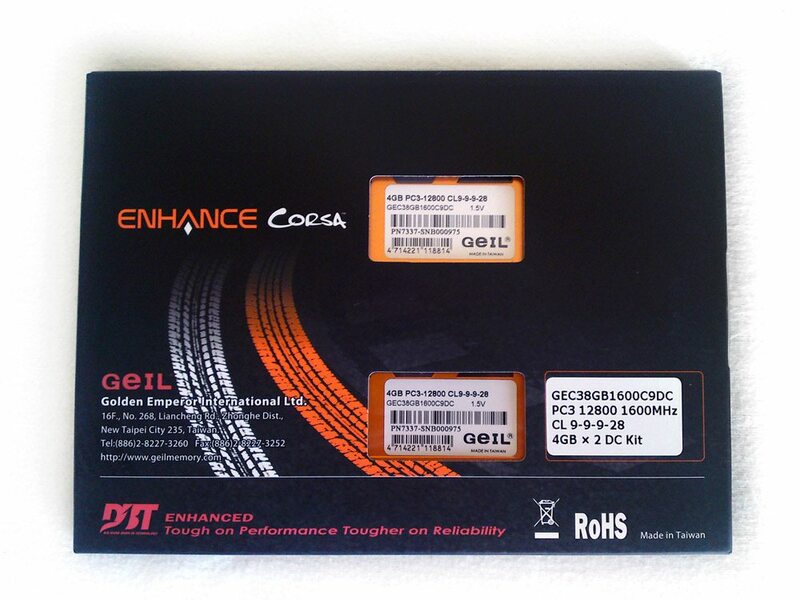 The GeIL Enhance Corsa 2x4GB DDR3-1600 CL9 (GEC38GB1600C9DC) is the highest tier available in the Enhance Corsa series. 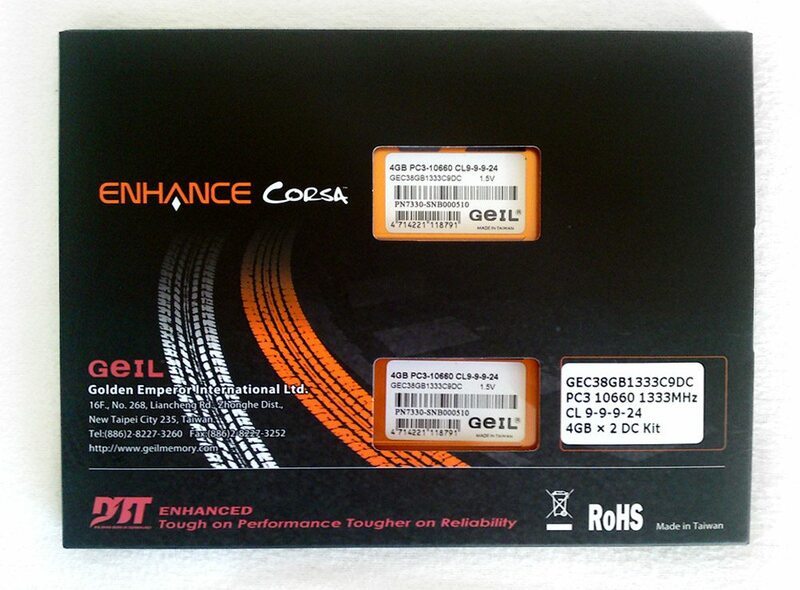 Also available in quad channel 16GB set (GEC316GB1600C9QC). The timings are CL9-9-9-28, on a rated voltage of 1.5V. 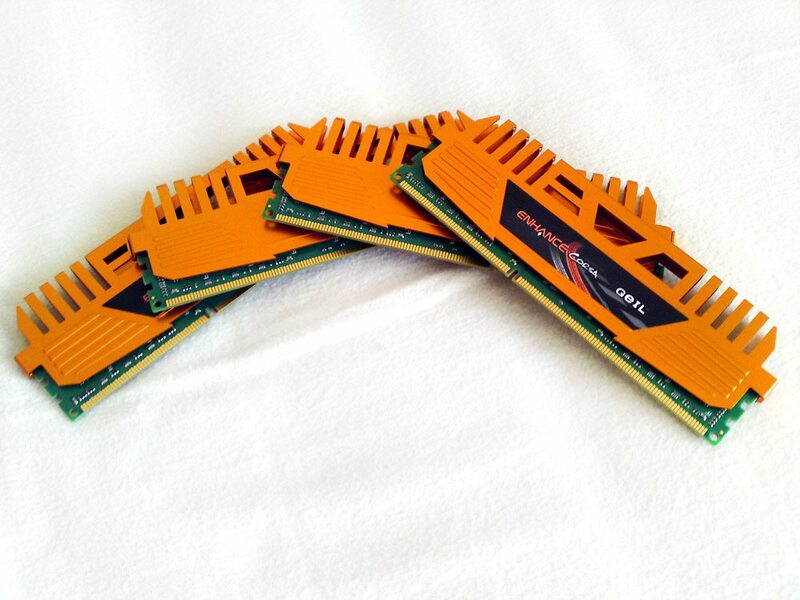 As the memory timings are only slightly different from the DDR3-1333 CL9 variant, we can expect better overclocking results with these DIMM’s, as they’re probably higher binned. 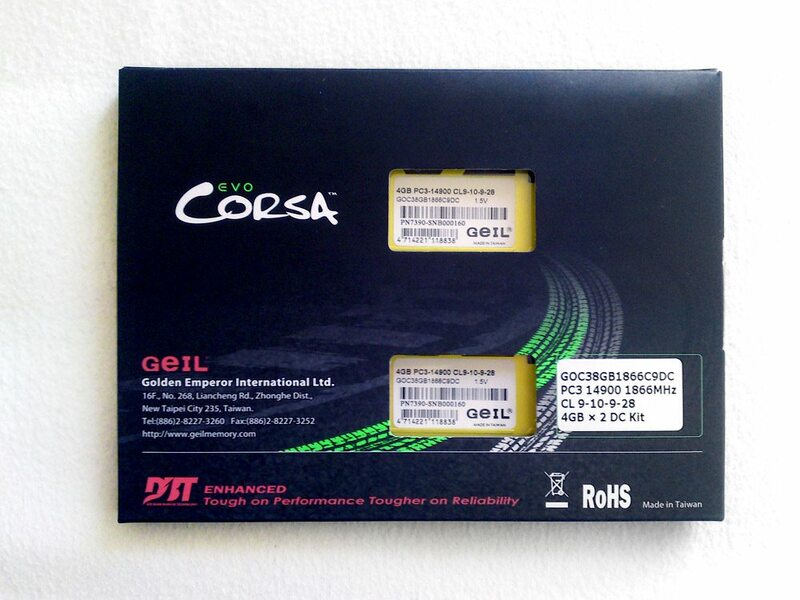 The crème de la crème of this round-up, GeIL’s 2x4GB Evo Corsa DDR3-1866 CL9 (GOC38GB1866C9DC). Also available in 2x2GB, 4x2GB and 4x4GB sets. 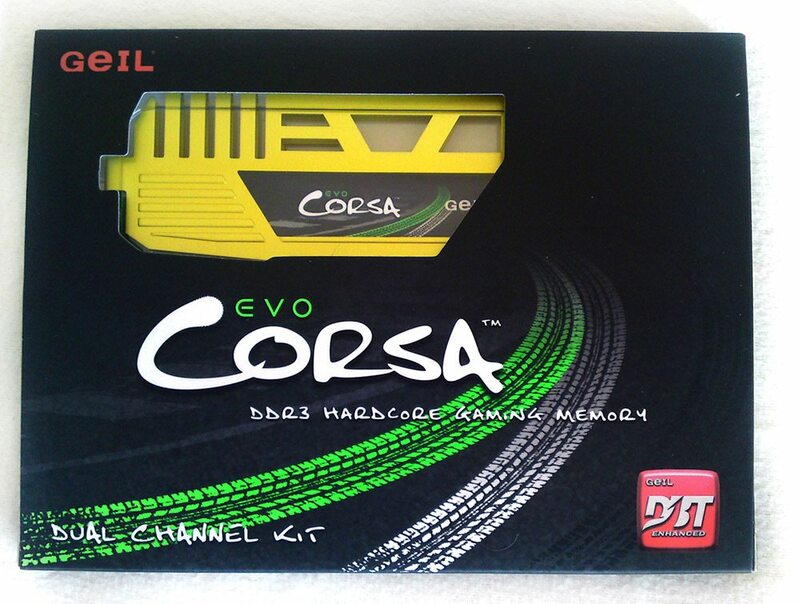 It’s ranked lower than it’s big brother, the EVO Corsa DDR3-2133 CL9, CL10 and CL11, but also has a small sibling with CL10 timings. The timings are CL9-10-9-28, on a rated voltage of 1.5V.